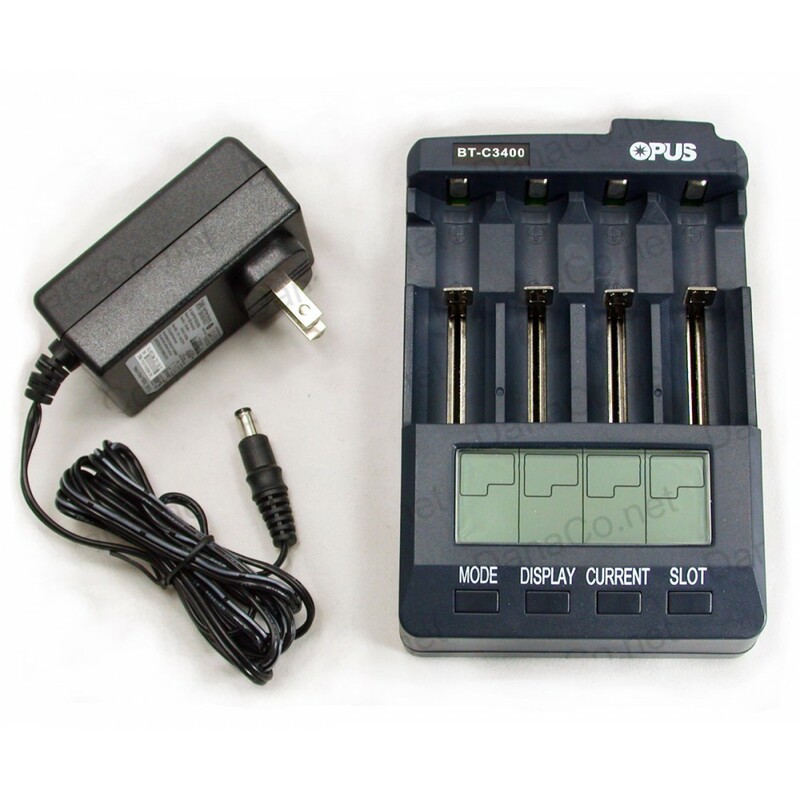 When was the last time you started to have some fun with your favorite gadget, put in freshly charged batteries, but ran out of juice much sooner than ecpected? What happened?? Most likely one bad battery in the set. Now you can test those batteries for actual capacity. Match batteries in sets of equal tested capacity so you will get the expected run time. Make sure those high capacity batteries you bought are what they are advertised, test them for actual capacity. Just bought some new Li-ion batteries and suspect they are not as good as advertised?? This is the charger you need. 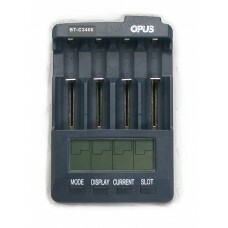 Handles nearly all Li-ion NiMH NiCd rechargeable batteries. NiMH/NiCd sizes: AAAA, AAA, AA, A, C and SubC. Li-ion sizes: 10440, 14500, 14650, RCR123A (17340), 17500, 17670, 18350, 18500, 18650, 19670 (protected 18650), 25500, 26500, 26650. Four indepentent channels can be programmed individually or all together. 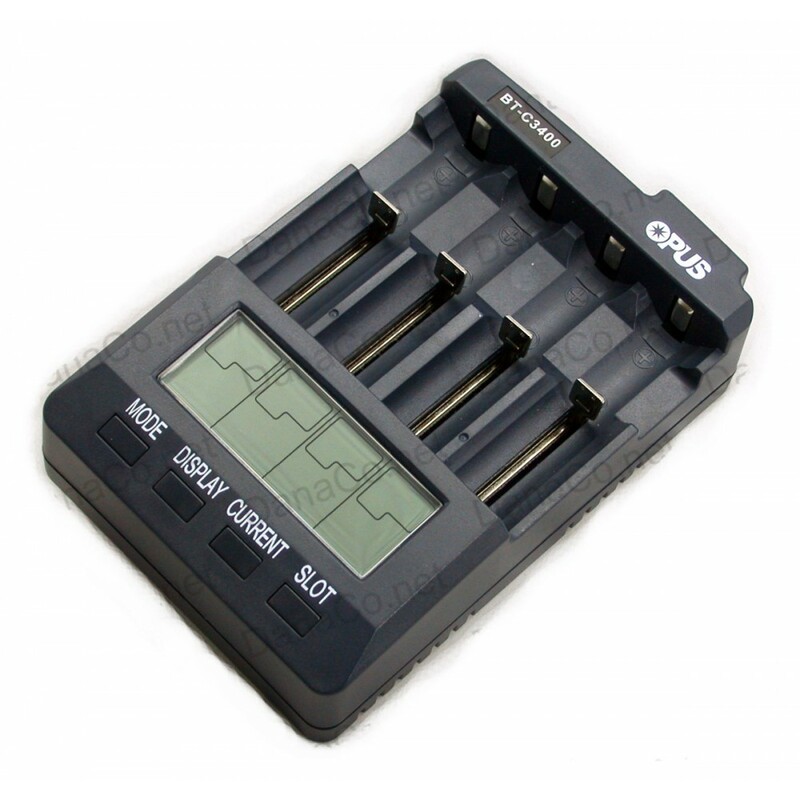 Charge, discharge, condition or analyze one to four Li-ion, NiMH or NiCd rechargeable batteries. 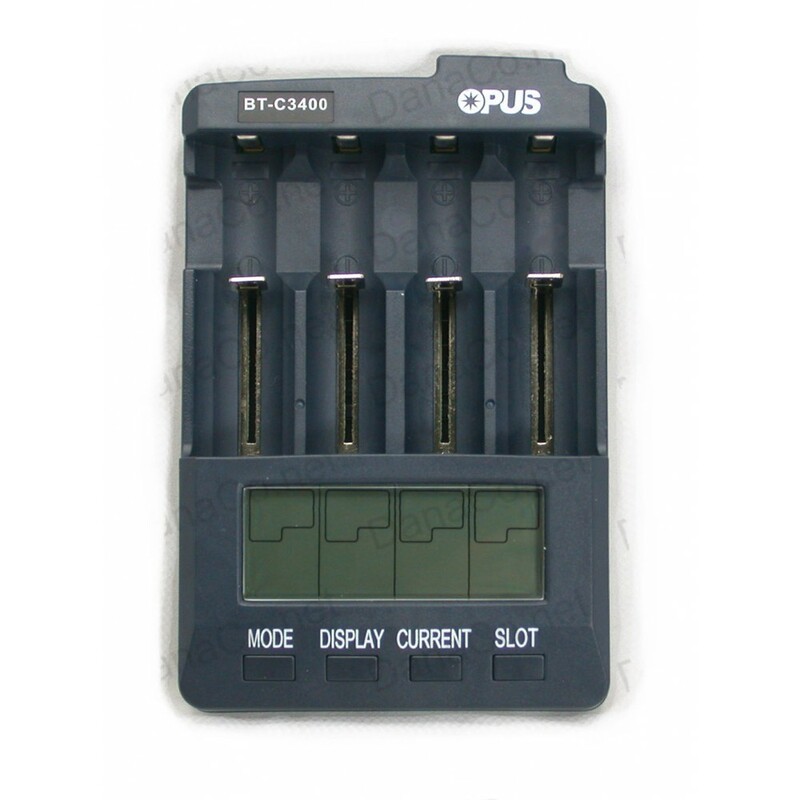 Back lighted LCD Digitally displays capacity, voltage, time elapsed and current. Negative delta V (-dV) full charge detection for NiMH/NiCd. CC/CV for Li-ion rechargeable cells. Adatper Power Supply output: 12Vdc 3.0A.